Depending on the notary’s state of commission, he or she may be legally required to keep a record book or journal of the notarial acts they’ve performed. This serves as an invaluable tool of reference for the notary public, allowing his or her to see notarial acts performed for clients in the past by scanning through a journal. Even if it’s not required in a notary’s respective state, keeping one will still prove beneficial in the long run. Date when the notarial act was performed. The signer’s residence or alleged residence. Name and alleged residence of the grantee. Name of original grantee and location of land for notarial acts of documents in which land is conveyed or charged by the instrument. 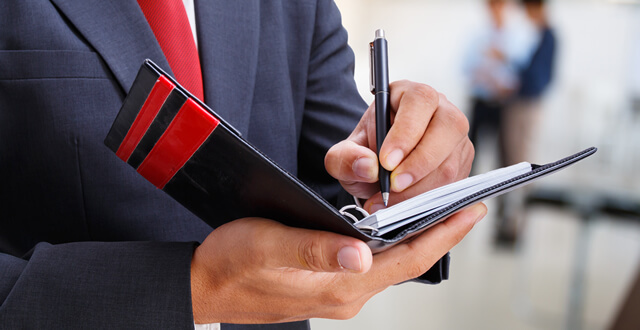 Due to the sensitive nature of its contents, a notary public should closely guard his or her record book at all times. If it’s lost or stolen, the names, addresses and other critical information of past clients could be exposed to prying eyes. It’s the notary’s responsibility to secure and control their record book in order to protect the privacy of their clients. Again, it’s important to note that not all states require notaries to keep a record book. And the requirements for those that do vary from state to state. In Arizona, for instance, notaries are required to keep a single paper journal at any given time, unless there are entries which involve public records, at which point the notary public is allowed to keep two paper journals. In Ohio, notaries are only required to keep a journal for recording protests. Some states also require notaries to create journal entries in chronological order. The purpose of a journal is to create a record of each notarial act performed by the notary public. If doubts or questions ever arise in regards to a notarized document, there’s a paper trail to prove the act was performed. However, this issue rarely arises, which is why many states don’t require notaries to keep a journal. See below for a complete list of states in which notaries are required to keep a record book/journal. Illinois (starting 2019, all notary publics commissioned in Illinois will be required to keep a record book for acts involving conveyances for residential and/or commercial property in Cook County.